JQ Talks: NYE Dinner At Signature, The Roof! I had the opportunity to review the dinner set for NYE at Signature The Roof at First Avenue Bandar Utama. Knowing myself, I usually don't do food review unless I have faith in their food. I knew the food at Signature The Roof is amazing, thus, I can't say no when I was approached. Plus, I kind of grabbed the opportunity to set a date night with my partner. It was time to treat my boyfriend to a great meal along with a beautiful view. In a gist, as expected, the food were delicious. To my surprise, the mains were in big portions and filling. 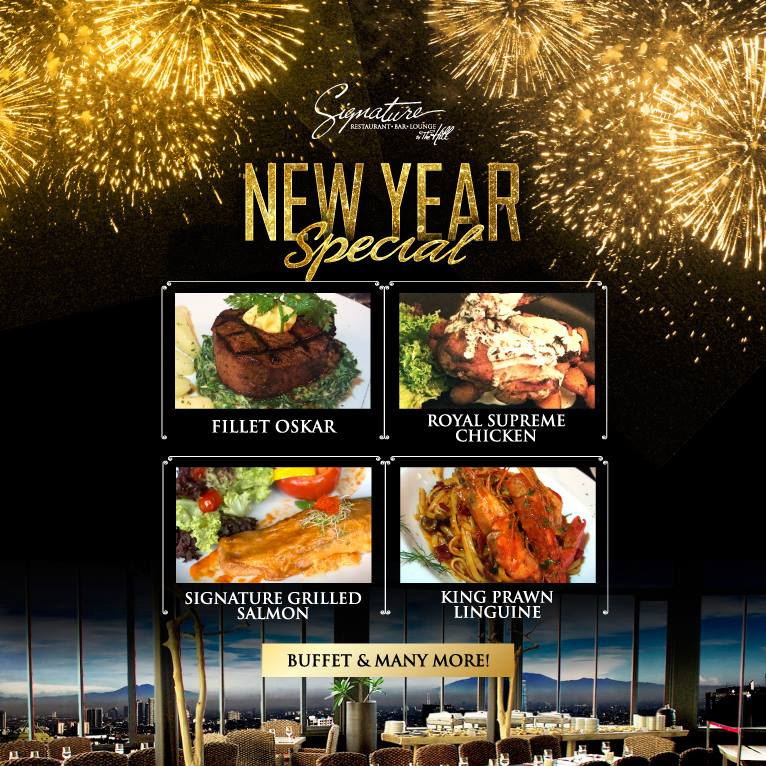 Overall, the food are definitely worth bringing your love ones there for NYE dinner. It's RM190++ per pax with buffet assortment, including appetizer, turkey carving, fresh seafood, desserts, and one choice of main. Thus, what I had the other day was a 3 course meal, while the NYE dinner will be a buffet spread! Additionally, Stratosphere at The Roof, Asia's 1st grassed helipad bar, is having The Ultimate NYE Countdown, they have one of the best views for Fireworks! After your meal, you can just walk over for the celebration as the dinner package comes with complimentary entry and 1 drink! Definitely not the NYE cocktail, this is some kind of cherry cocktail. New Year cocktail comes with Apple rum, Frangelico, and Pineapple Juice. Button mushroom, Oyster mushroom, Shiitake mushroom, Yellow onions, and Truffle! Quill egg, red tuna, mix salad, mini french bean and potatoes. Grilled then baked in a special house batter. Served with asparagus, Romesco sauce and pumpkin mash. Oiiiii, it was an interesting way of cooking the fish but so good in my mouth. The texture was so unique and it tasted lovely with the pumpkin mash. Tenderloin on a bed of creamy spinach served with asparagus, crabmeat and hollandaise sauce. Goodness, we thought it was cheese and spinach! It sure do taste like it. The meat was cooked to perfection, thick, tender, juicy. Yumsss. Not sure what dessert is this. Could be some mini pavlova and a chocolate cake or something. It's alright, nothing to scream about it. Here's the deal, if the complimentary cocktail is not your cup of tea or even any other time you are at Signature for a meal, must try these two fantastic cocktails. I totally forgot what's the name of the cocktail in pineapple but I think you ask the waiter, they should know. The other one is the famous Milo Ice. Milo Ice with alcohol is actually pretty amazing! Another new cocktail, forgotten the name but it's filled with chocolate, ice-cream, and cream. My goodness, so rich and oh so good. Also, if you are interested to step out for a bit, there's a small area where you'll get to enjoy the breeze and the view of the city. 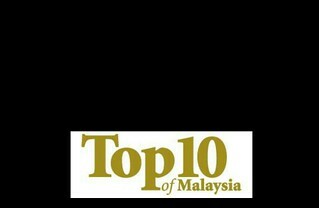 - Complimentary entry with 1 drink at Stratosphere at The Roof, Asia's 1st grassed helipad bar to catch fireworks display! For more information and RSVP, call 03-77241628, 03-77296628, 016-2291505, or visit their Facebook page and Website. *Meals were provided. I'm not paid, opinions remain my own.